mpared with halogen and incandescent, and the dimming performance is not as smooth either, rarely getting down to the minimum light levels that incandescent and halogen can. However, the lamp life is significantly longer – lasting up to 10,000 hourrs and more. Learn more about replacing compact fluorescent lighting and our Color Curve Dimming products. Metal halide: High intensity discharge technology is an arc lamp technology which was developed in the 1960’s. Inside a glass envelope filled with argon gas is an arc tube made of either quartz or ceramic and contains mercury and metal halide salts. The mixture of gas, mercury and halide salts within the tube generates an intense bright white light once heated by the electric arc contained inside. Metal halide lamps are very efficient, have excellent lamp life (some over 20,000 hours), and are capable of putting out a tremendous amount of light, so they’re typically used for high ceiling applications where lots of light is needed, stadium lights, roadway lighting, and parking lot and other exterior lighting applications. 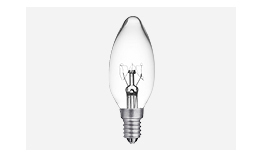 The main drawback of metal halide lamps has to do with switching and dimming. Most metal halide lamps cannot turn on while “hot”, which means if the power goes out, a restrike time of 15 to 20 minutes is required in order for the lamps to cool off enough to turn back on again. In addition, they are nearly impossible to dim. So although they are great at putting out a lot of light, hopefully that’s what you want – because there is only one setting, and that’s at 100%. Learn more about replacing metal halide lighting and our Max Output 5.0 products. LED: LEDs, or light-emitting diodes, are a solid state technology that have no filament, glass envelope, gas, or mercury. LEDs produce light by the movement of electrons that results from applying an electric voltage difference across a semiconductor material. Each semiconductor material produces light of a specific wavelength range, so on their own, LEDs are not capable of producing white light. Similar to other technologies, white light can be generated with a phosphor coating, while the excitation energy is typically provided by a blue light LED. While they don’t get hot in the traditional sense, LEDs do generate heat, it’s just not in the light path: it comes out the opposite end, and proper dissipation of this heat through careful thermal management is critical in determining the lifespan of the light source. A hot LED will fail, but a well-designed LED light source can be rated for a 50,000 hr life and longer (in lab conditions some LEDs have been said to last over 100,000 hrs). This surpasses the life of an incandescent bulb by tens of thousands of hours. While LED home lighting is still not the most common form of residential lighting, LED lights have been used in things for years like cell phones, Christmas lights, traffic lights and televisions. LED home lighting is also popular because LEDs use 90% less power than incandescent lights, are ecologically friendly, have zero UV emissions or mercury, and are very durable. Browse all of our LED lighting products.